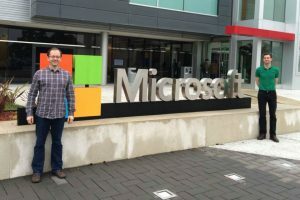 As we launch this year’s Civil Service Live Innovation Challenge, with its opportunity-of-a-lifetime prize of a visit to the Singularity University in California, we hear from one of last year’s winners. 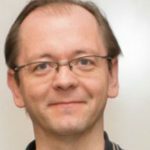 The Home Office’s Chris Felton writes about his team’s experience and the impact the prize has had on their work. Changes in technology have played a significant role in the growth over recent years in the making, distribution and viewing of images of child sexual abuse (CSA). The Internet makes it easier for abusers to connect, gives perpetrators a sense of anonymity and enables images of abuse to be shared more widely. Last year, I worked on the Child Abuse Image Database (CAID) project. The Prime Minister announced the creation of CAID at the 2014 WePROTECT Summit to help tackle the growth in this abhorrent crime. Thanks to the hard work of a team in the Home Office and police and private-sector partners, CAID went live in December 2014. By October 2015, all forces across the UK, and the National Crime Agency (NCA), were connected to CAID. CAID brings together all the images the police find, and uses technology to transform how we investigate these crimes and protect children. The police can assess seized devices against material held in CAID to identify which need further analysis and ease the burden on digital forensics teams. The police and NCA can identify victims more quickly because intelligence is shared more efficiently. And many of the unique identifiers – hashes – of the worst images on CAID are provided by the Internet Watch Foundation to industry, to help companies remove these images from their services. Our innovative use of technology and collaboration across and outside government meant that CAID was nominated for the 2015 Civil Service Live Innovation Challenge, one of over 50 projects nominated. We competed in a semi-final at St James’ Park, Newcastle, against another excellent Home Office project on crime-mapping. Having been successful there, our joint Home Office and police team competed in the final against four other projects at the QEII Centre in London. After a nerve-wracking round of presentations and Q&A, we were thrilled to discover that we’d won, with a third Home Office team runners-up. Our prize was two places at the Singularity University’s Executive Programme. The Singularity University is funded by industry and based at the NASA Research Park in California. It focuses on the concept of “exponential technologies”, as encapsulated by Moore’s law, and the observation that economic growth and changes in society driven by new technology will be exponential rather than linear. These technologies include artificial intelligence (AI), robotics, 3D printing, and driverless cars. The university’s proposition is that this change is inevitable. The question is how to seize the opportunities they present and minimise the risks. We learned about the wide range of potential benefits these technologies might bring, including the environmental and safety advantages of driverless cars; the potential uses of 3D printing in surgery and of robotics in disaster-response; the way virtual reality might change our working lives and leisure time; how developments in food production, such as in vitro meat, could help ease food shortages; and how AI could help process the huge amounts of data seized in CSA cases. But, at the same time, there are risks. 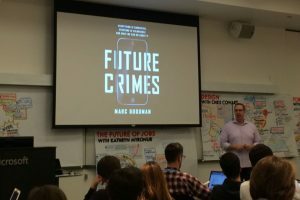 A session run by Marc Goodman, author of “Future Crimes”, showed that criminals and terrorists tend to be early adopters of new technology, as in the use of the Internet to increase the viewing and sharing of images of abuse. How might virtual reality be used in a malign way in the same way that social media has been? How does interconnecting our lives through the ‘Internet of Things’ expose us to those who wish to do us harm? How might 3D printing enable criminals to circumvent control of illegal substances? The main lesson for government from the experiences of the CAID team from winning the Innovation Challenge is that we need to learn both how to seize the opportunities new technologies offer us, and anticipate and prepare more effectively for the new risks that they bring. All in all, it was a fantastic experience. If you would like to nominate your own or someone else’s work for the Innovation Challenge and the chance of a trip to the Executive Programme in California, click here and apply by midnight on Friday 3 June. 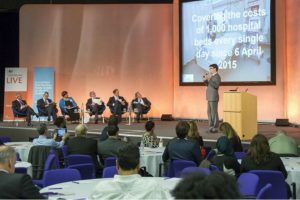 The Innovation Challenge is back at Civil Service Live 2016!